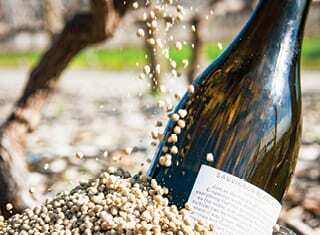 When this theme is discussed winemakers and wine producers tend to ask the following general questions: How do we control the amount of nitrogen in the soil that ensues from fertiliser applications? Can the nitrogen in the soil impact on the YAN levels in the juice? The addition of nitrogen to juice is permissible in the cellar, but what can be done in the vineyard to increase or reduce YAN levels in the juice? Of all the elements nitrogen is generally the most limiting nutrient to plants. This is ascribed to specific characteristics of the compounds in which nitrogen occurs: Nitrogen does not occur in geological formations in the soil, but in large quantities as N2 gas. Nitrogen can be supplied to the soil through the application of fertiliser, or through various free living organisms that have the ability to convert atmospheric nitrogen gas to organic nitrogen compounds, or through the symbiotic nitrogen compounds that live on a host plant. 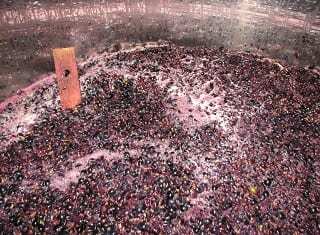 It should be remembered, however, that nitrogen application to vineyard soils can increase the total nitrogen levels in grape juice and with it the concentration of yeast assimilable nitrogen (YAN) in the juice, which is a very important factor when it comes to good vinification. The yield, growth reaction and influence on the grape juice composition depend on the nitrogen status or plant physiological norm of the grapevine before the application of nitrogen, as shown in Figure 1. FIGURE 1. 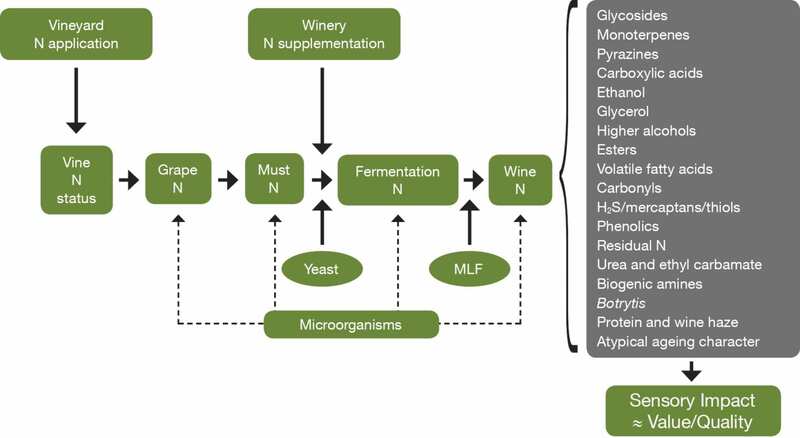 Schematic diagram summarising the principal sources and sinks for nitrogen from vineyard to the finished wine, and the principal components of wine that are affected by nitrogen (source: Bell & Henschke, 2005). Nitrogen is a critical grape nutrient for yeast growth and fermentation activity and influences the tempo and completion of fermentation. Nitrogen is also linked to the volatility of sulphur compounds and the reduction thereof. YAN analysis provides information about the nitrogen status of grapes, must or juice and specifically the amount of nitrogen available for fermentation. Juice YAN is important in respect of the fermentation tempo and effectiveness. Early detection of nitrogen deficiencies in the grapes or juice can help the winemaker make informed decisions with regard to nitrogen applications, whether anorganic nitrogen (di-ammonium phosphate) or organic nitrogen (own yeast supplements). When the juice YAN analysis is low, the fermentation process may be slow or even stuck. What is the impact of low must YAN? When the YAN analysis is low, it can possibly result in delayed yeast population and fermentation tempo, increased risk of slow and possibly stuck fermentation, increased production of volatile thiols and higher alcohols and reduced production of esters and long chain fatty acids. What is the impact of high must YAN? When the YAN analysis is high, it can possibly lead to increased biomass and heat expansion, as a result of the higher fermentation tempo and increased formation of ethyl acetate, acetic acid and volatile acidity. Increased concentrations of proteins that cause turbidity, urea and ethyl carbamate and biogenic amines are also associated with high YAN must. 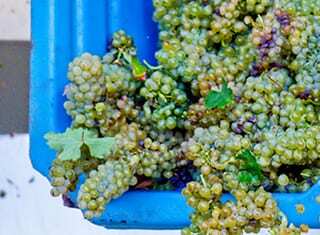 Furthermore there is an increased risk of microbial instability, potential taint of Botrytis infected grapes and possibly atypical ageing character. If YAN analysis is low (140 – 150 mg N/ℓ) nitrogen fertilisation can increase the YAN to acceptable levels of 200 – 480 mg N/ℓ through the judicious application of anorganic nitrogen and to a lesser extent organic nitrogen as fertiliser in the vineyard. Nitrogen should only be applied when all the factors, such as vigour, canopy density, leaf colour and petiole analysis, indicate that the grapevine requires nitrogen. Nitrogen can be applied in the vineyard to increase juice YAN, but the final adjustment can readily and easily take place in the cellar. 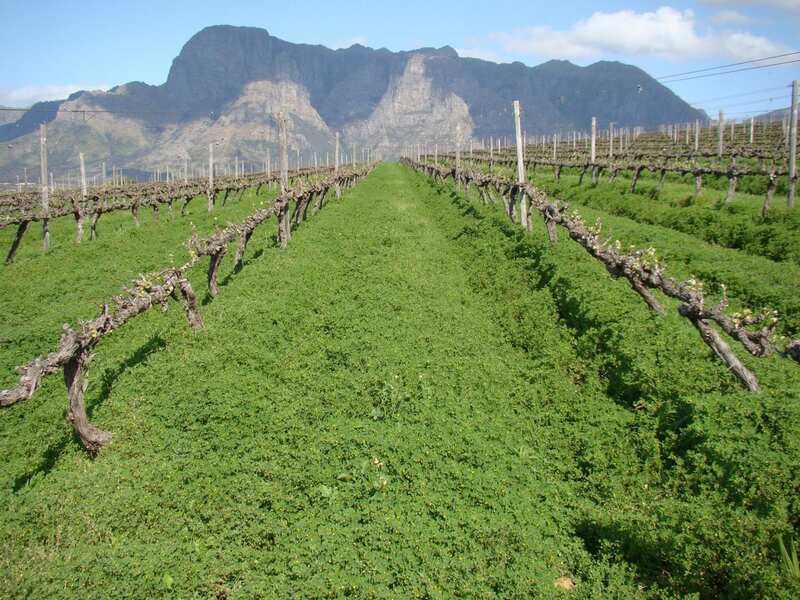 Previous studies have shown that nitrogen fertilisation is usually done to maintain the grapevine’s productivity/growth and production ability. 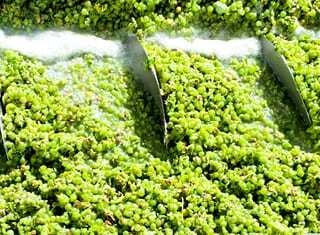 What should be taken into account, however, is that nitrogen applications may also increase the total grape juice nitrogen levels and therefore also the concentration of the YAN. This begs the question: What should be done if the grapevine’s vegetative growth is vigorous and nitrogen fertilisation should be reduced to control growth? How will this impact on the YAN levels? 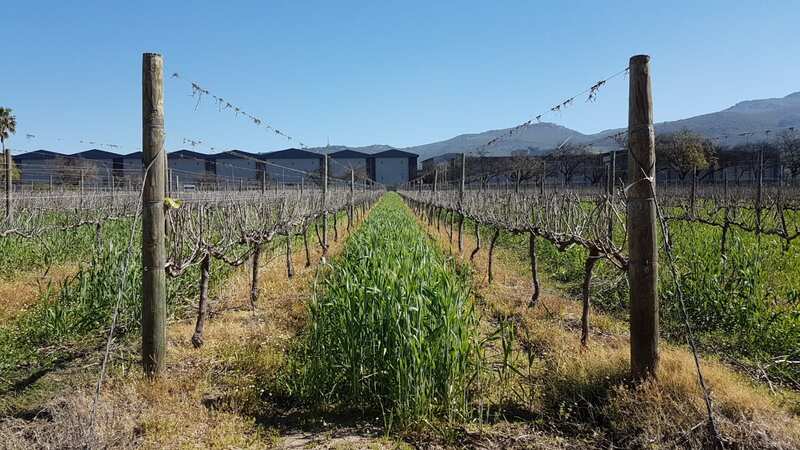 Researchers in Spain conducted a project with two kinds of cover crop, namely legumes and cereals, to study the effect of the soil’s NO3-N, grapevine nitrogen status, on the juice YAN. The study was done using three treatments: Barley, clover and conventional cultivation. The analysis of the barley treatment showed lower NO3-N in the soil than in the case of conventional cultivation, but after two years the clover treatment showed higher NO3-N. Where barley had been established, the YAN analysis was lower. This change in the soil nitrogen concentrations affected the nutritional status of the grapevine, as well as the YAN. The results of the study showed that when the YAN and the plant physiological norm of the grapevine enjoyed high and luxuriant vigour, the use of a cover crop, such as barley, eventually reduced the nitrogen status, YAN and the free amino acids. Research also showed that the application of nitrogen as foliar application late in the season may be used to increase the YAN status of the juice. The application of nitrogen foliar application at véraison is an effective, reliable method to improve the YAN status before the crush, as well as nitrogen in the berries, even if irrigation is not optimal. However, nitrogen foliar application can result in changes in the amino acid profile in the grape juice, which does not happen when nitrogen is applied to the soil. The nitrogen conversion process in the soil is extremely complex and influenced by several factors, one element being the choice of nitrogen source. Several sources of nitrogen may be considered as fertilisation sources, including urea, ammonium, nitrate and organics (for example chicken manure or compost). Urea is mobile in the soil and may be taken up actively by the grapevine roots, but it usually occurs in the relatively immobile form, ammonia, which is water soluble and forms ammonium. Dissimilatory nitrate reduction to ammonium is an anaerobic, bacterial process which in effect reverses the nitrification process; it converts nitrate to nitrite and then again to ammonium. Ammonium may be taken up by the grapevine, but it is toxic in high concentrations. Conversion of nitrite to nitrate happens quickly, but in well-drained soils nitrates leach easily from the root zone. Smaller amounts should therefore be applied incrementally during the growing season to ensure optimal adsorption. Other factors that impact on the nitrification process is the availability of oxygen, calcium and magnesium in the basic complex. In the light of the above it is obvious that nitrogen fertilisation in the vineyard cannot be separated from the eventual wine in the cellar. Close cooperation between the producer and winemaker is essential for correct nitrogen fertilisation and optimal product quality. Your fertilisation programme should be carefully evaluated to determine whether the correct source of nitrogen (Table 1) is being applied. Nitrogen soil samples, together with soil samples at the same points, should be taken to analyse the amount and availability of nitrogen in the soil (nitrate and ammonium) in order to determine the effective conversion process. Your region, climate and soil characteristics impact on the choice of nitrogen source to be applied. – Contact Vinpro’s consultants for independent, precision advice to evaluate the health of your soil, fertilisation programme, cover crops and viticultural practices.